Acapulco features in many a song about sunshine and good times, because this is Mexico's original 24hour beach party tow., A playground for the rich, famous and glamorous, in the town's heyday JFK took Jackie on their honeymoon - and some of the best places to stay in Acapulco still have a certain amount of retro cool. Whether you're partying until the early hours of morning, lounging on her wide stretch of bright white beaches, strolling aimlessly through the Old Town or exploring ancient sites, you will fall in love with this enchanting town. As well as the beach bars and sunshine, people came for Acapulco's beauty. It's set on a long, wonderful bay with steep, arm-like cliffs, hugging the white beaches. All along this coastline are small isolated coves and secluded beaches which you can reach by hired boat or foot, so despite the popularity of the resort town it's still possible to find a plot of sand to call your own. Acapulco hasn't aged that well; it's become built up and busy. But Old Acapulco, the old town, with its beautiful old cathedral, 17th Century fort and charming main plaza is just as impressive: the pentagoal fortress doubles up as a museum and holds fascinating exhibits. The botanical gardens are fragrant and provide a lovely spot for a stroll; and the romantic, cliffside restaurants have views which are just as enchanting as they were in the heady days of JFK and Jackie. And if it ever feels too crowded take a jaunt along the coast to one of the quieter villages. Take solace from the hustle and bustle of resort-town life and visit the beautiful cathedral. Explore Fort San Diego and immerse yourself in their exhibits! Stroll down the main plaza and drink in the sights and smells. Hire a boat and head towards the little coves and secluded beaches strewn along the coastline! Lazily lounge at the beach with a good book and feel time come to a standstill. Acapulco is a fun and vibrant resort town and the ideal destination for either a family seaside holiday or a romantic break. 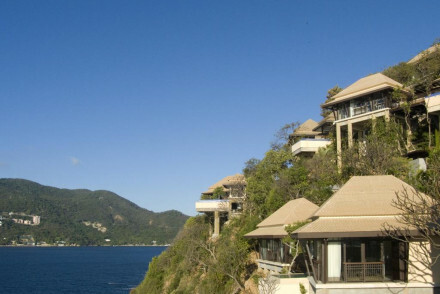 Check out our collection of the best places to stay in Acapulco to find out more! 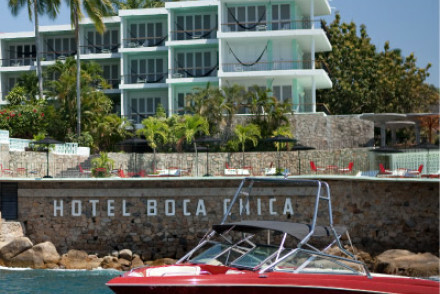 Boca Chica is a beachfront hotel on one of the 'arms' of Acapulco Bay, looking directly across the water to the little island of La Roqueta. You're not in the centre of town, so you'll find a relaxing haven here, but it also has a lively bar and its own nightclub, so you can dance the night away after swimming, golfing, fishing, snorkelling or cliff-diving the day away. The hotel also has a nice spa and a seafood restaurant. Las Brisas: on a hill overlooking the sea, this gorgeous hotel offers cool and contemporary rooms and suites, swimming pools, a tennis court and a brilliant gourmet restaurant. Relax in the sun at the private beach or make use of the hotel shuttle bus to travel from place to place. Great value for money; ideal for large families. Encanto: standing high looking out over the bay and offering chic and minimalist rooms, bright and airy, as well as a superb cocktail bar and two excellent restaurants. Some suites can enioy a private pool, the gym is first-rate and it is ideally located for exploring local sites. Ideal for couples looking for intimacy. Fly to Mexico City, then get a connection to Apapulco. It is extremely hot throughout the year, but the best time to go is between Janurary and April - when there is no rain - and the temperature ranges between 20 and 31 degrees. Beachfront hotel which offers a lively social scene in the form of bar and nightclub, as well as a relaxing chance to while away the days in the swimming pool or on the beach. Spa, boutique shops and seafood restaurant also on site. Golf, cliff-diving, fishing and snorkelling all nearby the hotel. Spa - Natural and herbal ingredients. Artisan aromatherapy. 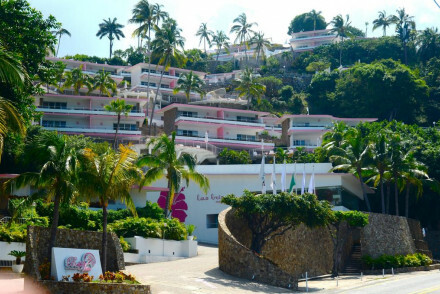 Las Brisas sits in luscious gardens atop a hill overlooking Acapulco Bay. It features contemporary casitas which share a pool between 3 of them whilst the suites have their own private pools. Make use of the free bus service to spend the afternoon at the private beach club! A wonderful experience. 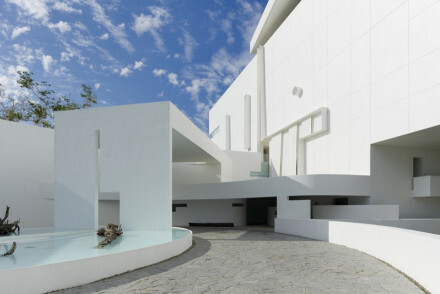 This contemporary hotel overlooks Acapulco Bay at the highest point of the Brisas del Marqués district. Its suites and villas are minimalist in design and feature plenty of white whilst some even come with their own private pool! Be sure to visit both of the splendid restaurants. A first rate stay. A stunning eco lodge boasting spectacular sea views. Secluded rooms offer enormous terraces (the best have plunge pools), free standing baths, plenty of glass and minimalist furniture. Spend evenings in the romantic restaurant and sampling tequila and days basking in the sun. Superb. Hideaway - Find utter tranquility in this luxury property overlooking the sea. Cooking classes - Take a cooking class with the celebrated chef.